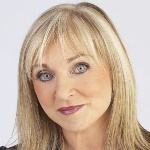 One of Britain’s best-loved and most popular personalities, Helen Lederer acts, she’s funny, she writes columns, TV shows, radio shows, one woman shows, she does voices, she does speeches, she talks about wine, she writes about wine, and she drinks wine. Helen is probably best known for her role as the dippy Catriona in Absolutely Fabulous where she appeared alongside Jennifer Saunders in all five series of the show, as well as creating the ‘Girl at the Bar’ in Naked Video. Helen is in demand as both after-dinner speaker and awards presenter. She is a patron for Water Aid, UNICEFand has been an Ambassador for The Prince’s Trust for the last seventeen years, recently hosting a celebration with HRH the Prince of Wales on stage together at Windsor Castle.